Lots & lots of items to be auctioned off including lots of machinist equipment & tools, tools & power tools, household, and more. There is so much stuff to sell that we will sell with two auctioneers. Online bidding will be available for some of the items. Check back for more details & pictures. Property is .66 acres and includes a 1728 sq. ft. house, commercial building with shop, machine shop, office area, another office area with reception area & bathroom, and a 3-bay commercial garage. 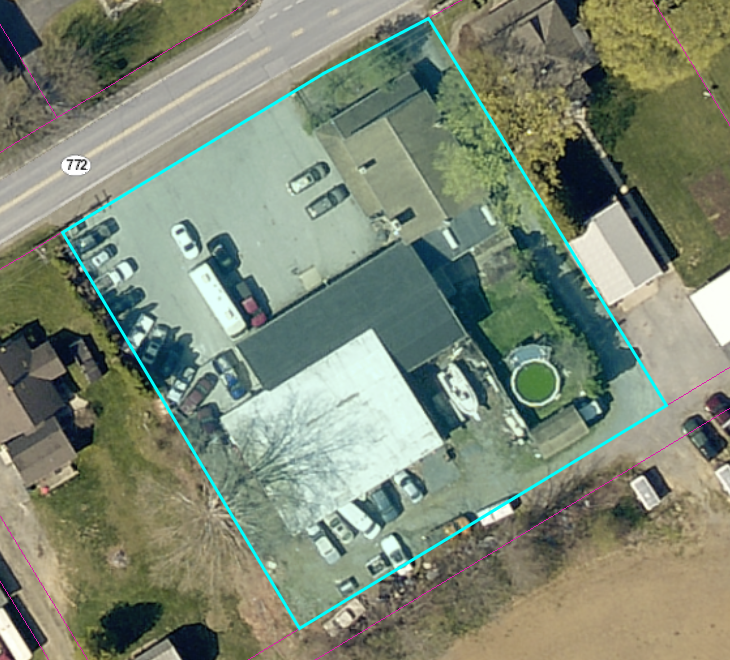 This property is zoned R-1 Residential for commercial use. First floor of house includes eat-in kitchen, dining/living room with wood-burning fireplace, family room with wood burning stove, bedroom with full bathroom & plenty of closet space, summer kitchen with triple sink, laundry & half bath. The second floor has 6 bedrooms with closets, full bathroom & hallway closets. Other features include back patio, shed, half basement, and attic. clamps, boring bars, transfer punches, reamer set, gage block set, jig borers, vises, collets, parallel shank twist drills, machinist inspection blocks, shank chucking reamers, fluted carbide end mills, end mill holders, carbide machinist bits, machinist precision blocks, Jacobs chuck, Supreme chuck, number punch sets, threaders, Phase II dial indicator, lathe bits, tin hand painted "Marine Store" sign, Parker Model 412 tubing bender, micrometer, railroad heavy duty cargo style cart, pallet jack-its, 24ft aluminum ladder, hand-crank black smith forge 19" table, military motor, surface grinders, magnet chuck, Turnmaster 15x50 lathe, Bridgeport milling machine, Clover metal lathe, Edlund drill press, metal rulers, machinist drill bit set, machinist drill bit index, Balden buffer/grinder, arbor presses, General Manufacturing planer, acetylene torch, Delta Shopmaster belt & disk grinders, plainer, woodcutting band saw, jointer, Empire sand blaster, 8ft fiberglass step ladder, Delta 10" miter chop saw, file machine, heavy duty Stanley grinder, and much, much more. Lots of machinist tools & equipment! SCROLL BELOW PICTURES FOR PDF VERSION OF THE ONLINE CATALOG OR CLICK ONLINE BIDDING LINK ABOVE TO ENTER THE ONLINE CATALOG. Download "NOV 10TH HOLLISTER CATALOG.pdf"